Two recent news stories caught my attention because of the unbelievable pettiness of the divorcing parties. Example 1 – A New York real estate developer recently finalized his divorce with his former wife of over 50 years, but apparently that was not enough for him. As soon as the divorce was finalized, he had a 42-foot tall picture of his new wife installed on a building he owned in Manhattan – the building was supposed to house the apartment of his ex-wife. Pettiness is not limited to high-net-worth and celebrity divorces (those are just the ones we read about in the news). Here are a few examples from real life, real people divorce cases: sending your kid to the other parent’s house in raggedy clothes; putting an item in storage instead of letting the other party use it; sending a tooth back a week later with your child for the tooth fairy because the child had lost it on the exchange day; getting angry or causing problems over 5-10 minute delays; running up the electricity bill because the other side has to pay it while waiting for the divorce; and plenty others. Here’s my take – Grow up and move on. 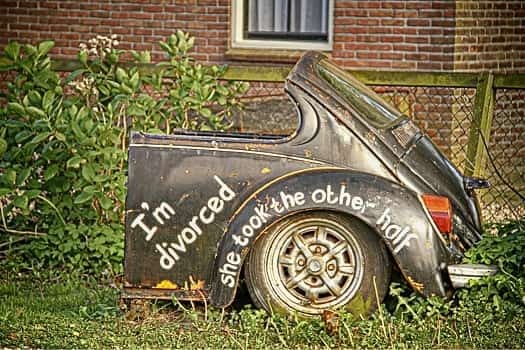 Look, I know divorce is hard, but actions like these only make it harder on everyone involved. They infuriate the other side causing them to not compromise and dig their heels in. They infuriate judges by taking up valuable court time with personal and petty grievances. They cost you money AND they keep you mired in a life and state of mind that you need to move on from. They may cost you friends, family, and relationships. Forget about the punishment, revenge, or appearing weak! Focus on the things that really matter.